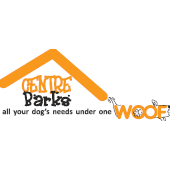 Centre Barks is the one stop shop for dog lovers covering all your dog’s needs under one roof. Unlike many other establishments we do not have cages or pens. The emphasis is on the health and well-being of your four-legged friend. The doggie crèche provides a safe and fun environment where shoppers can leave their beloved pets for supervised activities, while using the shopping centre’s facilities. Our full grooming services includes conditioning bath treatments in our warm hydro bath using natural shampoo, hand fluff and blow dry, full haircut, nail clipping, ear cleaning and plucking and a rub down with essential oil doggy cologne. We offer the best natural treats and foods, innovative pet products, clothing, grooming products, toys and accessories. A delivery service is available and extending soon to include an online store. Bathing your dog at home can be difficult and messy particularly for larger dogs. We offer the use of our custom designed hydro bath, natural shampoo, brushes and a warm air dryer and friendly professional advice. For those that are too busy or want to stay warm indoors a pick up and drop off service for grooming appointments, vets and more is available.